Parenting education, Family Counselling and more. Free parenting videos, articles and apps backed by Australian experts. Call for guidance and advice about any worry you might have about a child, large or small. Parent Line - 1300 808 178. Call at any time 24/7 for guidance and advice about any stressful parenting issue or concern about a child 0 to 5 years old. You may want to volunteer your time with skills development for young mums - cooking, literacy, budgeting. Cash donations will go towards the purchasing of resources to run the group programs, such as ingredients, materials for activities or resources for young families, such as essential baby goods. A range of education programs to support families. CatholicCare has a range of programs to support families with their parenting issues. The focus varies across these groups with some programs focusing on parents with young children and others parents with teens. Families in the Child Protection arena are supported through a range of other programs. Each program has its own selection criteria and target group. The Bringing Up Great Kids Program has been identified as an Evidence Based Program and has been researched over a number of years to indicate that it is an effective parenting program for parents of all walks of life. Contact Susanne on 62 781660 for more information, or to enrol in an upcoming group. Available in Southern Tasmania “When it comes to raising kids and teenagers, everyone has an opinion. There are so many ideas out there. So how do you know what’s best and what works? The Triple P – Positive Parenting Program ® takes the guesswork out of parenting. It is one of the few parenting programs in the world with evidence to show it works for most families. Integrated Family Support Services [IFSS] Centacare provides in-home and outreach support to families in George Town and the Launceston area. We work alongside families, assisting them achieve personal goals that have been agreed with them. The goals may be in the areas of parenting, life skill development, understanding child development or connecting with community. The aim is to strengthen families and minimise the need for more formal service involvement. Access to these services happens after a referral via the Gateway Service. Phone 6323 6700 or 1800 171 233. An initiative operating in the South of Tasmania, working collaboratively with Child Protection Services to achieve positive outcomes for children and families undertaking the reunification process. We achieve this through the provision of intensive support to all members of the family undertaking both practical and therapeutic work and case planning. All services are individually tailored to meet the unique needs of families. Our aim is to ensure the safe and sustainable return of children to their families, after a period of time in alternate care arrangements. All referrals come direct from Child Protection Services. PAUSE is a program designed to assist parents navigate the often turbulent world they enter when their children become teenagers. The aim of the program is to: * Provide parents with the skills and strategies that are necessary to assist their children in the transition from childhood to adulthood. This program is offered in the South only. Positive outcomes for children and families. Operating in the South of Tasmania, working collaboratively with Child Protection Services to achieve positive outcomes for children and families undertaking the reunification process. We achieve this through the provision of intensive support to all members of the family undertaking both practical and therapeutic work and case planning. All services are individually tailored to meet the unique needs of families. Our aim is to ensure the safe and sustainable return of children to their families, after a period of time in alternate care arrangements. All referrals come direct from Child Protection Services. Funded by Department of Health and Human Services. Programs for Men, Women and children being affected by family violence. Are you affected by family violence? Women and children are primarily the victims of family violence, and the safety of you and your children is of paramount importance to us. Family violence includes physical abuse (pushing, hitting, slapping, smashing things), verbal abuse (put downs, name calling, shouting, threatening) and using power in unfair ways. Some of the effects of family violence can include fear, anger and shame as well as physical injury. If you are experiencing the impact of any of these behaviours, please contact us. CatholicCare Tasmania provides specialised family violence counselling and support programs for any affected family member. Services include individual counselling and group programs. A program for children who have experienced family violence. It is an intensive group program that consists of two parts; an after school session for the children followed by a session for the non abusive parent the next day. In the group the children have the opportunity to talk about and process their experiences and are helped to find ways to deal with the accompanying emotions. This is done with a variety of activities and games as well as group discussions, and includes a lot of fun times. It is also beneficial for the children to realise that other children have experienced similar difficulties. The parents do the same activities as the children and information is shared between groups to allow the parents to more fully understand the experience from their child’s perspective. All too often children have heard of, and are aware of, more of the family violence than their parents realise, and this provides the child with the opportunity to share this with their parent. It isessential for the parents to be committed to their sessions, not just those for the children. This group is run for different age groups at different times, and when no group is available individual counselling can be offered, and names can be put on a waiting list. The CAMEO (Choosing A More Enlightened Option) group is an eight week program for women who have experienced family violence. The programprovides information and develops awareness of the short and long-term effects that living with an abusive partner can have on the women themselves and on their children. Each session covers a different topic including safety, parenting, stress, guilt and grief. The aim of the program is to provide a safe and supportive environment so that women can explore their past and current situations and make more informed decisions about their future. CatholicCare offers a comprehensive state-wide counselling service that provides assistance to individuals, couples, families and children. Through the provision of therapeutic counselling services and group programs we aim to enhance all family member’s abilities to resolve difficulties, ‘grow’ through life’s transition periods and have nourishing relationships whatever one’s life circumstances are, with a particular focus on how destructive family conflicts impact on children. How to access family counselling? We ask for a contribution to cover the costs of providing a full time service. Fees are charged in accordance with how much you earn. Financial hardship is not a barrier to accessing our service. 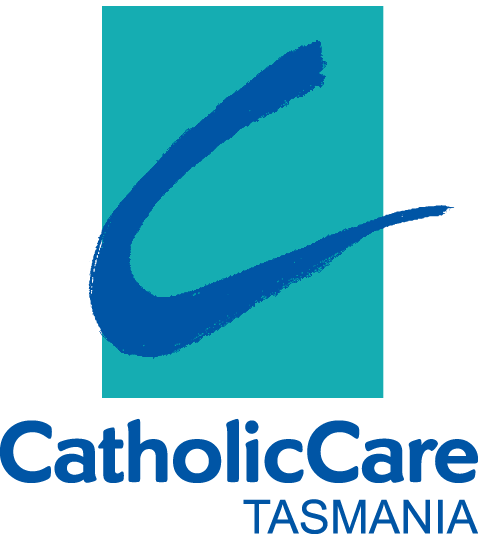 CatholicCare Tasmania is the largest provider of Mediation services on the North West Coast. We pride ourselves in being able to offer a supported and holistic approach to family separation. We sit on the Family Law Pathways Network to keep up with what’s happening in the Family Law community on the coast. With minimal wait times and five accredited mediators on board and another two in the process of training, we believe we provide the best Family Dispute Resolution service on the NW Coast. 3 hour Post Separation Cooperative Parenting [PSCP] workshop for each parent, again separately. Come together for the first joint mediation session.